For months media outlets as varied as CNN, Time Magazine, Fox News Channel and The New York Times have been reporting on the financial shortfalls of state and local governments. Every story reports on the dismal circumstances facing governments across the country and how they are attempting to respond in these challenging times and still serve their citizens. And yet with all that we have done and all the cuts that we have made, it has not been enough for us to weather this economic storm. We must cut more and ask for even more sacrifice from our employees and our citizens. But before I continue, I want to talk a bit about our employees who have endured and sustained us through this most difficult time. I want to say thank you to the employees and their supervisors that have undergone the year of sacrifice with the reduced workweek and pay. 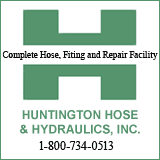 I am appreciative that in spite of low morale, reduction of pay and condensed work week, you, the dedicated employees of the City of Huntington, have ensured that we have provided the same or greater level of service to customers. Citizens did not see service delivery diminish. For that I commend you. I know that it has not been easy for you or your families. Many faced, bankruptcies, acquiring additional employment and a host of other personal financial difficulties as a result of the reductions. Yet you have continued to provide the best service that you could under increasingly difficult circumstances. For that I thank you. Unfortunately, as we prepared this year’s budget, the outlook is still bleak, as it is for most communities. According to research by the National League of Cities, it will take municipalities around the nation at least until some time in 2012 to rebound. This year’s financial picture without additional revenue sources is just as difficult, if not more so. The proposed 2011-12 budget does not see any significant increases in revenue. This budget was built absent the Municipal Occupation tax, B & O tax reform and the local sales tax. We would have been remiss in budgeting those revenues without an affirmative decision from the Home Rule Board regarding the amendment to our tax reform. We will be presenting before the board on March 17th. I optimistically await the outcome. Although, the proposed budget has all employees that were previously on the reduced work week, back to five days and at 100% of their pay, we have still had to face the reality of making additional cuts. The budget being presented has cuts in a number of different areas, across all departments. Most significant are cuts in personnel, within Finance, Mayor’s Office, Public Works, civilian staff at the Police Department and keeping the current vacancies unfilled within the Fire Department for a second year in a row. Although our financial picture has been difficult. It does not tell the entire story of where we are as a City. I am impressed and inspired by the work of the departments in overcoming obstacles and challenges to us having one of the most productive years in history. And I would like to take a few moments to share with you some of the successes we have had during this very difficult time. As a retired law enforcement officer, I am elated to share that the City, under the leadership of Chief Skip Holbrook continues to have an overall reduction in crime for the third year in a row. Beginning 2007, the overall crime in the City has been reduced by 21%, 6.8% drop, this past year alone. Last year there was also a 9.3% reduction in Breaking and Entering and a 16.8% reduction in aggravated assaults. The Criminal Investigation Bureau recovered over $763,000 in stolen property. The department successfully administered over $3.2 million in grant dollars. Also, I am pleased to share that the long standing open air drug market that existed on 9th Avenue and 19th Street area, has been closed as a result of the Drug Market Intervention program, the community call-in and the support of citizens and those in social services. Our DMI success is going to be a model for those around the state and region that deal with open air drug markets and seek to solve the problem at the root. The program successfully uses crime statistical data to allocate resources to eradicate an open air drug market. Much has been reported about the continued success of the Weed and Seed Program. One of the most impressive statistics since the implementation of the strategy is that there is a 19% increase in residents within the Weed and Seed designated areas that feel safe at night. Additionally, there is a 21% increase since the start of the program of residents in the footprint that view the police as providing Good to Excellent service. Chief Craig Moore and the firefighters of the Huntington Fire Department saw a 13% increase in number of call responded to for the year, in spite of reduced staffing levels. Of important merit, the department maintained its Insurance Rating Office or ISO rating of 2, improving upon previous points earned in years past. Additionally, three new pieces of equipment went into service: two pumper trucks and one new aerial truck. Additionally, this past fall there was a reorganization of the Fire Prevention Bureau, creating a fifth Deputy Chief. As part of the city-wide focus to becoming more efficient and to move documentation to digital versus remaining with paper, the department began utilizing new software that automates and tracks: training, building pre-planning, and fire reports. Under Moore’s leadership, the department also obtained grant funding to spearhead the creation of a Continuity of Operations Plan for all aspects of municipal government. This plan ensures that the city will continue to perform essential services and administrative functions in the event of any emergency or catastrophe. With the hiring of Public Works Director, David Hagley and Assistant Public Works Director, Kit Anderson, this is the first time since 2007 that there has been consistent leadership within the department. As a result, we have been better able to focus on areas that have been neglected: Stormwater, landfill closure, reorganization of inspections and compliance and its work processes. Some success of their focus has been that contractors and developers are now able to do electronic submission of plans for review. We have overhauled the hiring practices within Public Works. When filling vacancies, hiring is based upon merit and not that of minimum qualifications and seniority. Last year, we implemented the citizen support center Web Q & A off of the City of Huntington website. This support center generated 2,234 of constituent requests, in particular with 1, 124 for the Street Department along – largely related to potholes. This system was instrumental in aiding the Street Department when compiling the work orders for patching. This system provided citizens with a quick turnaround time for repairs, but it also created an opportunity for the department to allocate patching crews in the most time efficient manner. Public Works employees have also seen a greater emphasis in training and education. Many street employees attended a snow and ice control workshop. Several will attend an intensive Roads Scholar training that teaches best management practices in all things related to road and traffic engineering maintenance. All have undergone monthly safety training courses, which had been a previously neglected area. What began as a dream of Robin and Gene Howell to see flowers in key places around downtown has spurred an entire movement of beautification around our town. The Huntington Municipal Parking Board placed greater emphasis on landscaping, new lights, lot resurfacing, planters in front of storefronts and assisting Tom Bell in the maintenance of hanging baskets throughout the Central Business District. Charles Holley has continued to serve as a visionary in the development of downtown. In using $200,000 of stimulus funds in conjunction with the Convention and Visitors Bureau, the parking board, the Empowerment Zone and AEP, there has been the creation and development of the Downtown Pedestrian Corridor. The Pedestrian Corridor will include backlit signage resembling water towers and murals on the back of Mack and Dave’s that depict the history and cultural experiences of our community. The corridor will provide a connection for tourists and residents creating additional foot traffic for the retail, entertainment and residential development for the core of downtown. Other major development activities will be the: continued planning and early construction of the Paul Ambrose Trail for Health; further development of the Old Main Corridor with bike lanes on 4th Avenue and the growing relationship with the Greater Huntington Parks and Recreation District for the master plan and continuation of the Chuck Ripper Trail at Harris Riverfront Park. In economic development we saw movement in areas that had seen little to no activity for years. Another lot has been sold at Kinetic Park for a Pediatric dentist/ orthodontist office that creates 40 new jobs for the area. In collaboration with HADCO, the Huntington Industrial Center has been leased, creating 20 new jobs. A local company has acquired an option to purchase the City Hall Annex Building. Since enlisting the services of third party collection agencies, we have generated over $2 milllion in delinquent municipal and refuse fees. In the year old B & O collection efforts we have generated an additional $700,000. In house our legal department under the leadership of City Attorney, Scott McClure collected $428,000, filed 70 suits and placed numerous liens against delinquent property owners. Beginning of 2010 there were 176 properties slated for demolition before the Unsafe Building Commission. Several of those properties had been on the list for years. With the commitment of the UBC Commissioners, the City’s CDBG $200,000 demolition funds and anonymous donors contribution of $100,000. The list has been reduced to 43 priority structures that need to be demoed. With a new approach to using outside contractors for the Board Up program, we were able to successfully board up 50 structures. Additionally, property owners have taken greater responsibility as a result of our enforcement, many have had their structures demoed using private dollars or they have obtained building permits to rehab their structures. There was a pledge beginning of November 2010 to tear down 40 houses by March 1, 2011. We are half way there with their 20 homes to come down by March 2011. The Land Bank Fast Track Authority under the guidance of HURA is on target, with the first set of homes purchased in November of 2009 to be redeemed in April of this year. Most of what I shared would not have occurred without the spiritual intervention and support of the ministers and intercessory prayers of Mission Tri-State. Weekly they provide spiritual support to me and key community leaders as we go about making decisions that impact the lives of so many. To continue capitalizing on the success of the past year we have a number of programs/initiatives that are reflected in the budget I am proposing to City Council. As a result of the reorganization of Inspection and Compliance, the budget has proposed the creation of a Bureau Supervisor to provide oversight regarding the day to day operations, as well as to be cross trained to provide support in all facets from inspections to code enforcement. There is $600,000 set aside for street resurfacing. We are seeking greater utilization of undergraduate interns and graduate assistants from Marshall University. This creates an opportunity for the students to gain real world experience as well as the opportunity for the City to obtained skilled labor at a fraction of the expense. This was successfully done last summer and would like to expand upon that relationship in the upcoming fiscal year. This will occur within the areas of Public Works, Planning and Finance. Our City Planner, James Baldwin has been with us for little over a year. He has done an exceptional job of handling the administrative duties of zoning, floodplain management, and support for the Planning Commission and the Board of Zoning Appeals. This year he will begin the exhaustive process of updating the City’s Comprehensive Plan, while utilizing a graduate assistant to provide support. Today, a request for proposal was advertised for new software to streamline and support main city functions, such as the general ledger, accounts receivable, permit and work orders for public works activities. Although, this is a function not seen by most, it is essential for this software to be in place for us to more effectively conduct business. This long awaited system will go live in July and other aspects of the software will be deployed throughout the next 18 months. In order to maintain the BBB+ stable rating that we received from Standard and Poor’s< we must have an ending fund balance of $1 million by June 30, 2012. With the foresight of Council we have a current fund balance of $560,000, and we are projecting a balance increase of $440,000 that will aide in ensuring that the City has the million dollar reserve. The action of adhering to a balanced budget and maintaining consistent reserves is critical to the maintenance of the rating. We will make better use of those sites to communicate many of the unknown facts about the City of Huntington and receive feedback from visitors. Additionally, this Spring the City will submit an electronic Customer Satisfaction Survey to all that sign up a friends or followers on those pages and those individuals who are currently apart of the Web Q & A system. · Focus on performance management, - managing by fact, using available data to determine the needs of the community and the appropriate allocation of resources. · Commitment to employees – Truly valuing employees by committing to their job satisfaction, professional development and wellbeing. It will take time before we are able as a City to officially apply for the Baldridge Award. Eventually we will, the end product will be a city that is stronger as a result of crisis, one that provides excellent service and neighborhoods that all will be proud to call home. No longer can we pass on legacy issues to future administrations and councils. No longer will investments not be made into our workforce and their success, either by training, recognition, or the tools necessary to effectively do their jobs. No longer will we not meet and exceed the expectations of citizens and businesses. No longer can we be afraid to make the changes necessary to improve our services or our neighborhoods, regardless of the political capital expense. We as an organization and a city are moving out of the maze of mediocrity and complacency and onto the path of performance. Council, citizens, businesses please join me in this journey. Thank you and God bless each of you and May God continue to bless Huntington.